Find here step by step instructions to make Mango kalakand, an Indian Paneer sweet recipe, is a summer special sweet/desert recipe. Mangoes are in season in summer in India. Ripe mangoes of different varieties are available in April/May in summer. 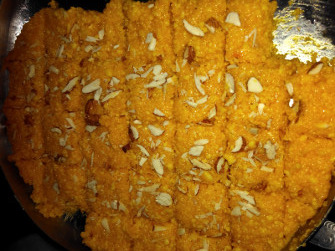 That is the time to make Mango kalakand. Now a days, frozen mango pulp is available the whole year in the market. So now you can use that mango pulp to make mango kalakand anytime during the year, whenever you want. It is better to use some pulpy, sweet mangoes, such as Alphonso mangoes as they have a very good natural flavor. 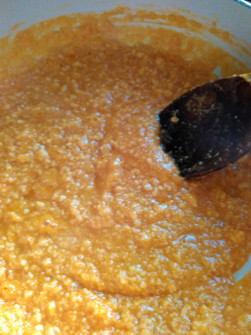 Sugar - 3/4 cup, more or less according to taste and the sweetness of your mango puree/pulp. Mix together paneer, sugar and mango puree. Add to a thick bottomed pan and heat the pan on medium heat. The mixture will become semi liquid as sugar will start to melt. Keep stirring. Once the sugar has melted reduce the heat and keep cooking, stirring once in a while. 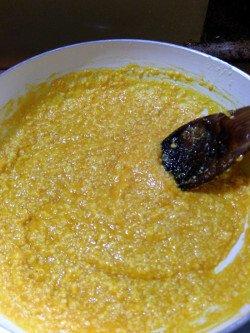 The mixture will start thickening after 8-10 minutes. Add ghee now and continue cooking. It will start coming together into a soft dough ball. Switch off and add cardamom powder. mix well. Grease a plate with a little ghee. 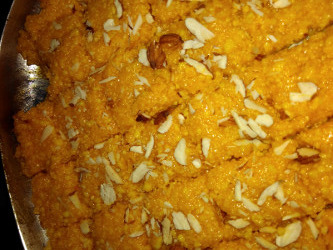 Add the mango kalakand mixture on the plate and spread with a spatula. When it has cooled a little, cut into squares or dimond shape. Add chopped dry fruits on top. Let cool completely. Cut the pieces and serve at room temperature or chilled. Use good flavored mangoes such as Alfonso mangoes. 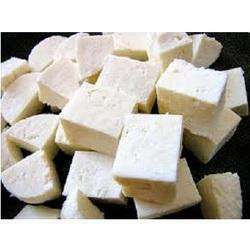 If using homemade mango puree, strain puree before adding to paneer and sugar. 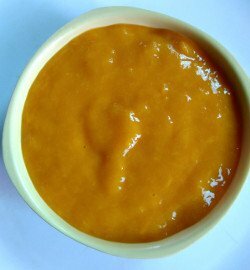 Mango puree should be smooth, without any threads.